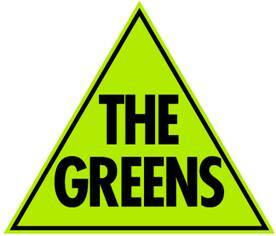 My congratulations to the three Greens Upper House candidates who are now actively participating in the Victorian parliament. It was a great result for the Greens and a real vote of confidence. In spite of the smear campaigns endured from all directions we were duly elected into government. There is a great support for the Greens in our region, this is how the Greens faired in the lower house (Monbulk & Gembrook) booths in our region, please note I have omitted booths that polled lower than 10%. The Dandenong Ranges is a real hub of support for the Greens and the two lower house candidates polled very well. Gordon Watson, candidate for Gembrook polled 11.02% overall and Robert Stephen, candidate for Monbulk polled 16.16% - well done to both of you. Unfortunately our upper house candidate, Louis Delacretaz, just missed out on an upper house seat in parliament. On a positive note Louis did poll exceptionally well in Eastern Victoria (given the region covers from the Dandenongs to Mallacoota) getting 8.86% of the vote, ahead of the Nationals who polled 8.52% of the vote.